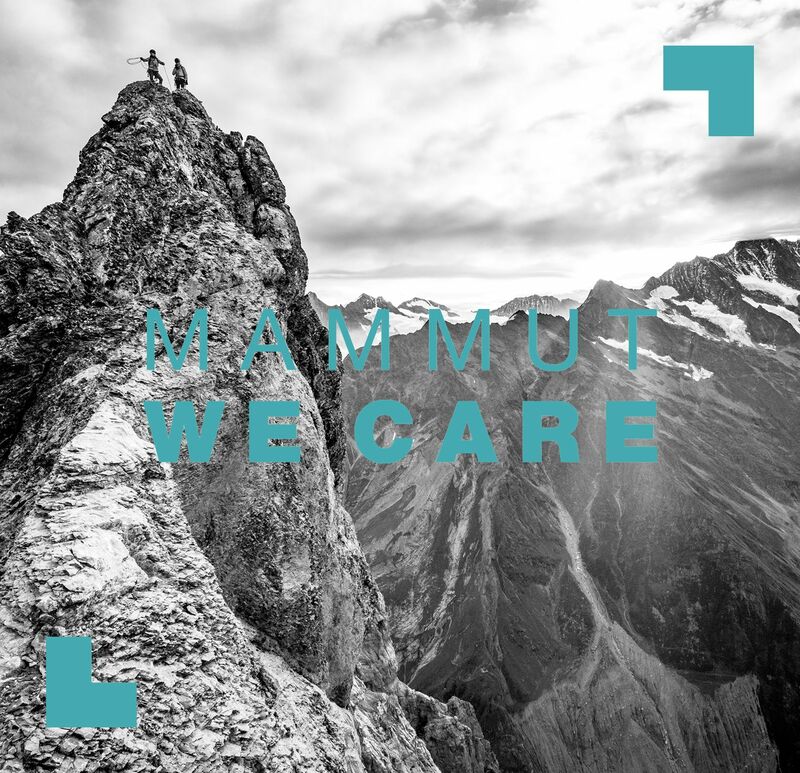 Mammut's Strategic Plan represents a consolidation of the company's great commitment at all levels of corporate responsibility. The goals are both comprehensive and ambitious: "As a Swiss premium outdoor brand, whose roots go back to the year 1862, we want to preserve what is worth preserving and improving what is not yet perfect. The sustainability of our products and manufacturing processes is an essential part of the quality standards of Mammut," commented Peter Hollenstein, CR Manager of the Mammut Sports Group AG. Mammut excludes environmentally harmful substances from the beginning of the manufacturing process to protect the environment. Since 2011, Mammut has been a partner of bluesign®, currently the strictest and most comprehensive standard for consumer and environmental protection in the textile industry. By 2023, the company aims to use a minimum of 95% certified materials. Mammut is also working to eliminate the use of PFC-based equipment by the same date. In the procurement of materials of animal origin, Mammut places great importance on comprehensive certified animal protection and traceability standards. Mammut is already using certified or recycled down (Responsible Down Standard & RE:DOWN) in all products. The Responsible Wool Standard (RWS) is also being implemented in the global supply chain. The company aims to cover 100 percent of its requirements with RWS-certified wool by 2023. At the moment, there is no independent standard for leather materials. In this area, Mammut works with carefully selected tanneries which use controlled processes to produce high-quality leather. To further optimize its environmental profile, the company uses recycled materials in its processes wherever these meet its high requirements in relation to quality, performance and functionality. For its cotton products, the majority of Mammut's supplies are sourced from organic cultivation. By 2023, Mammut has committed to deriving 95% of its production materials from recycling and to use exclusively certified organic cotton. In 2008, to ensure ethical production, Mammut became one of the first outdoor companies to join the Fair Wear Foundation (FWF), committing to the strictest standards in the world for fair working conditions in the production of its product since then.